The International Conference on Chemistry is a biannual conference that brings together researchers and scientists from all areas of chemistry disciplines, researchers from various application areas who are pioneering chemical applications and technology to discuss problems and solutions in the area, to identify new issues, and to shape future directions for research. 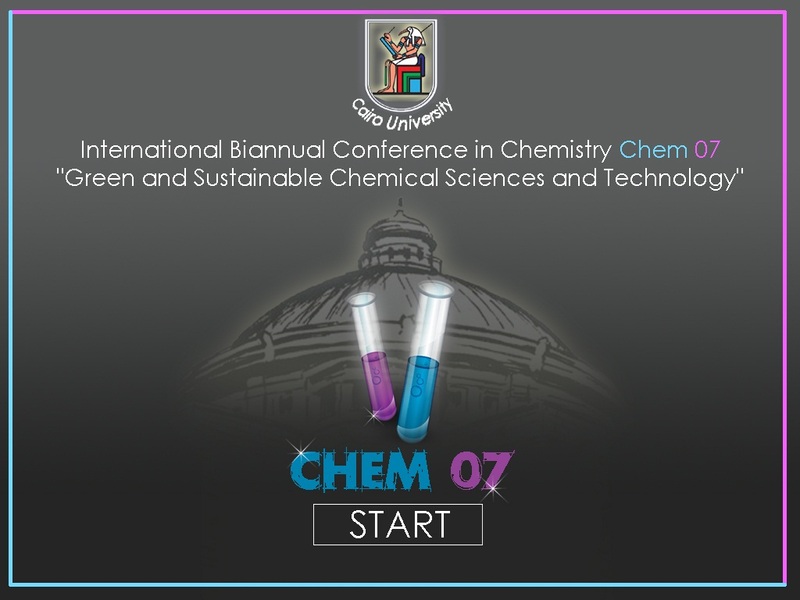 Chem 07 2018 in Cairo, Egypt, will be the seventh in this series of highly successful conferences. Located in North Africa and the heart of the Middle East in Cairo the largest city and one of the world’s main attraction and historic hubs. In addition to the university of Cairo, one of the region most distinguished research institutions and the proud host of Chem 07 2018, Cairo is home to many ancient and historic site seeing attractions, museums, Mosques and churches. The city stretches out on both sides of the river Nile, which flows out giving Cairo its peaceful and remarkable beauty. (see the location page for more information on Cairo and Egypt).